We are running another evening in our Big Picture series, just for ladies. 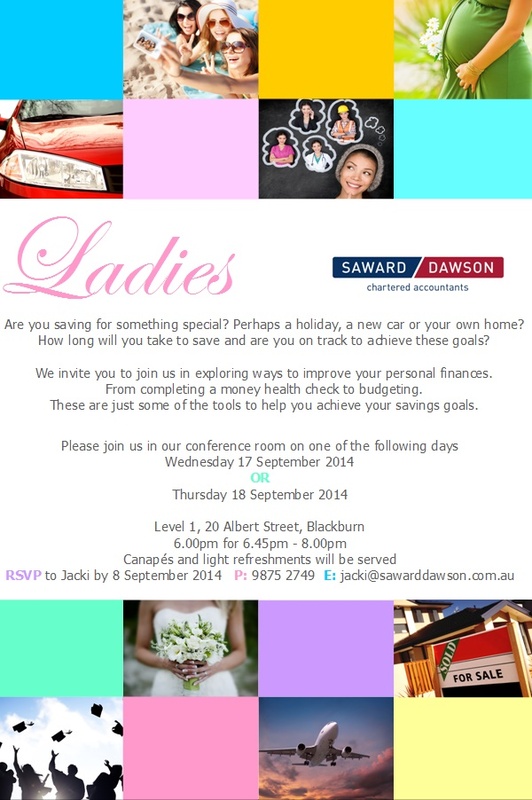 Saving for something special or simply wanting to improve your personal finances? Either way, it is great to achieve your goals and then maybe, reward yourself. See the invitation below and please click here to email Jacki your details. We are running two sessions as we expect this to be pretty popular. Remember to nominate which session suits you best. Ladies, we look forward to seeing you on the night and gentlemen you might like to pass this invitation to a lady you think may be interested.